Martin Luther King Jr. Holiday! Students and staff always enjoy a day off from school! 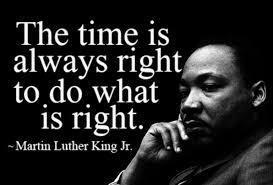 We will be out Monday, January 21st to celebrate the life of Martin Luther King Jr. Check out the video link to learn more about the man and the reason for the holiday.